Just a quick one today; wanted to share a link to my first ever podcast interview, which took place at the recent London Super Comic Convention, & found me chatting with the awesome Chris Thompson of Orbital in Conversation. We chatted about both Find & Exit Generation, & a whole other load of comics stuff, so pop on over & take a listen HERE. I’m on second, after my pal Alex Paknadel, writer of the excellent upcoming Arcadia from BOOM Studios, which you should absolutely check out when it hits the shelves in May. 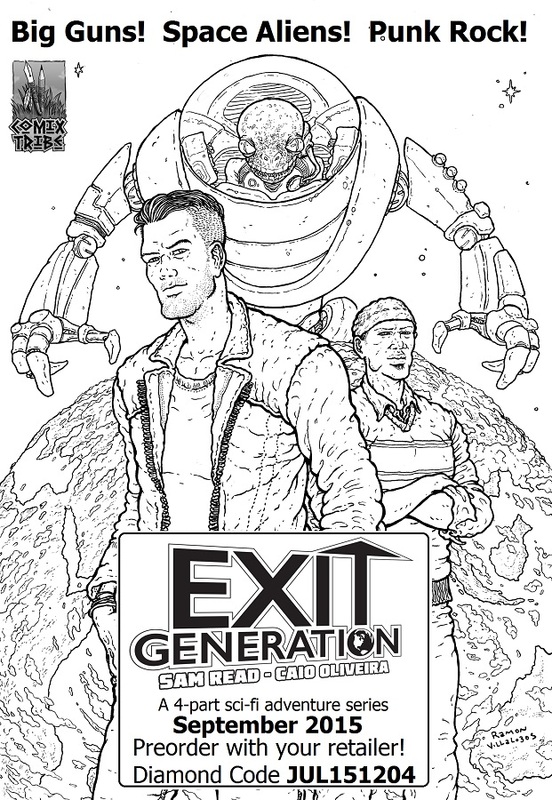 Hope you find it interesting, & don’t forget to give the Exit Generation Facebook Page a ‘Like’!